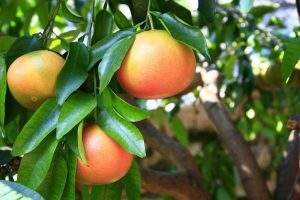 The current Section 18 emergency exemption permitting application of FireWall™ 50 WP to aid in the control of citrus canker in Florida grapefruit expires on July 1, 2016. After discussions with EPA, the Florida Department of Agriculture and Consumer Services (FDACS) and the Florida Fruit & Vegetable Association (FFVA) have decided not to pursue its renewal. The rationale for this decision is based on the fact that the existing Crisis Declaration (issued March 4, 2016) and the pending Section 18 emergency exemption for FireWall™ 50 WP on all citrus to combat HLB (“greening”) makes renewal of a Section 18 for FireWall™ 50 WP on grapefruit for citrus canker unnecessary. It should be noted that all emergency exemptions are between the state of Florida and EPA; the role of AgroSource is this matter is only to assist when requested and to supply and steward the product(s). If you have questions or desire further information, please contact Daniel A. Botts, Vice President, Industry Resources, Florida Fruit & Vegetable Association at 321-214-5200 or daniel.botts@ffva.com. FireWall™ 50 WP may be applied to all Florida citrus for HLB under the Crisis Exemption and the additional benefits it provides for canker management should accrue from its use. For more information, please contact your AgroSource representative in Florida, Bo Meador, at 863-673- 0727.